The parish of Prion was created on 23 January 1860 (and extended on 22 February 1879), out of the ancient parish of Llanrhaeadr yng Nghinmeirch. It comprises the townships of Llanrhaeadr yng Nghinmeirch, Prion and Trefydd Bychain; and portions of the townships of Llewesog, Segroit Ucha, Segroit Isa, and Cader. 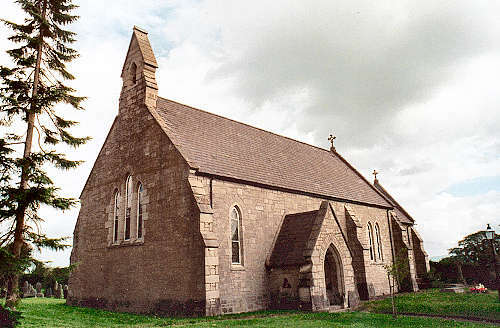 St. James's church was consecrated on 25 August 1859. St. James's church closed in 2008. For family history information about the church and parish, visit the GENUKI Prion page.